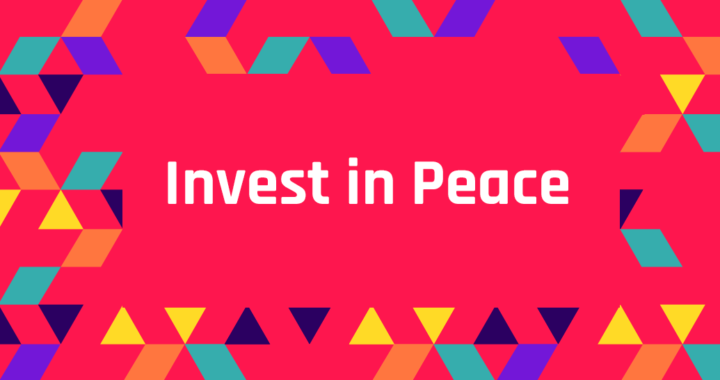 Bristol Hebrew Congregation, together with the Bristol & West Progressive Jewish Congregation and Clifton Cathedral, invite you to hear the stories of two peace activists: one Israeli and one Palestinian. 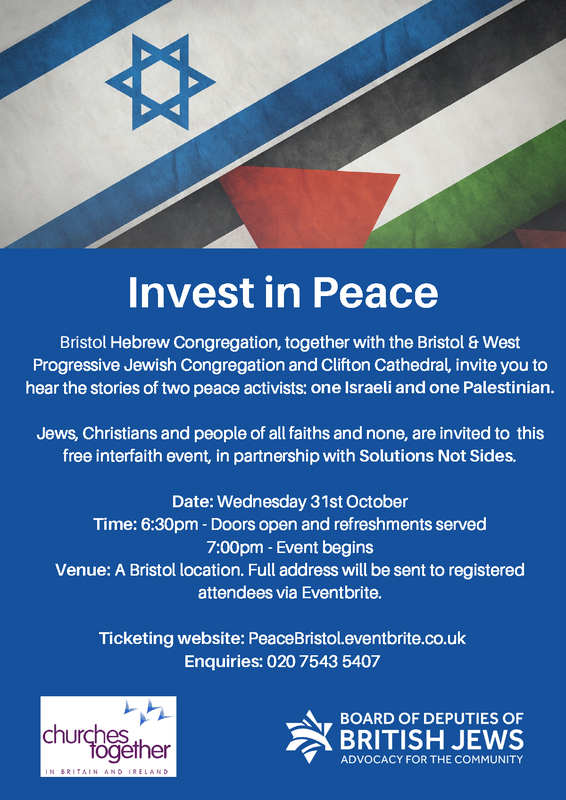 Jews, Christians and people of all faiths and none, are invited to this free interfaith event, in partnership with Solutions Not Sides. Venue: A Bristol location. Full address will be sent to registered attendees via Eventbrite.